Filled with examples and illustrations, this practical resource demonstrates how theory applies to solving real-world plant operation problems. Selected hand calculation methods are also provided. Norman P. Lieberman is a chemical engineer with 50 years of experience in process plant operation, design, and field troubleshooting. An independent consultant, he troubleshoots oil refinery and chemical plant process problems and prepares revamp designs. 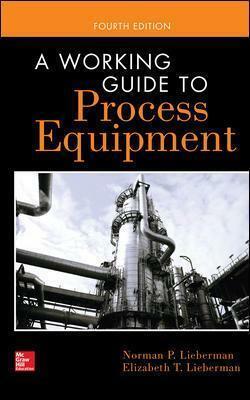 Mr. Lieberman teaches 20 seminars a year on "Troubleshooting Process Plant Operations" and has written eight books on plant process operations and problems. Elizabeth T. Lieberman is a chemical engineer with more than three decades of experience in the process industries. She works as a consultant troubleshooting oil refinery and chemical plant process problems. Ms. Lieberman also has experience in ceramic clay processing, refractories processing, and the conveyance of slurry flow.